Stories of male servants who succeed by charming their unmarried mistresses were common in the eighteenth and early nineteenth centuries. Since she is “aw’d by birth and fortune,” and cannot publicly announce her love, some subterfuge must be employed. In this version, she sleepwalks into the servant’s chamber and gives him a ring and her pledge of love. In a better-known version of this story type, “Golden Glove” or “Dog and Gun,” she disguises herself as a male hunter, talks with the man she loves, and learns that he loves her (Laws N20). She gives him a “gold-decorated glove,” saying she has found it. Usually in songs of this type, she later announces that she will marry the man who brings back her love token but that motif is absent from this lyric. Until other copies of the song are found, we can only guess whether several verses are missing, perhaps edited out, or whether it was originally written in this unusually short form to fit the space beneath the large engraving. This broadside is one of seven English prints Thomas added to his collection of Coverly broadsides before having them bound (see The Sailor’s Departure from His True Love Susan). 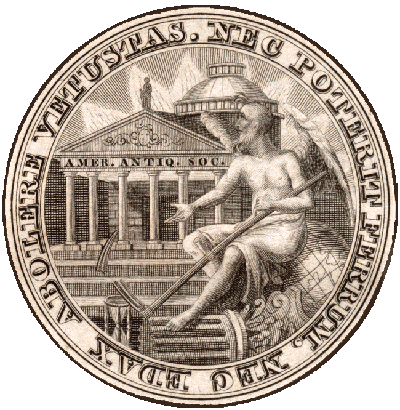 Three of the English prints are identified as coming from John Evans’s press at Long Lane, West Smithfield, between 1791 and 1792, and the others resemble them closely. They are printed from engraved plates and the fine details of the illustrations are enhanced with watercolors. Broadsides like these were rare in America although not unknown. Of spirits and apparitions, strange tales have oft been heard. 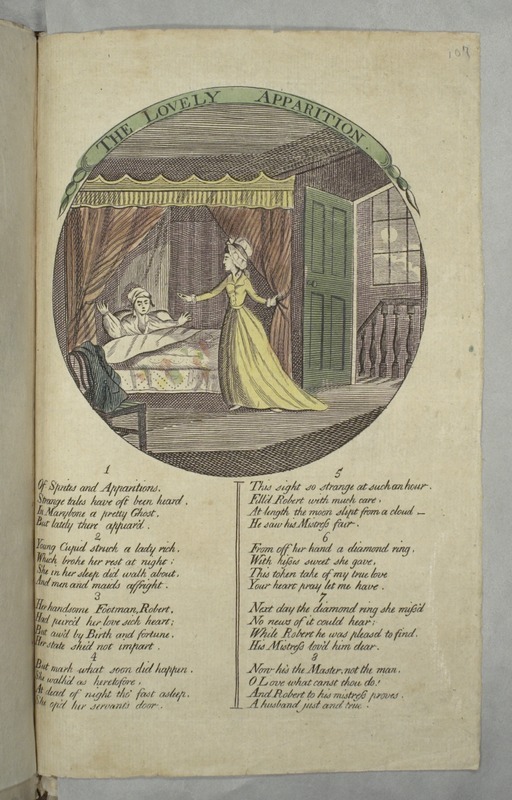 “The Lovely apparition,” Isaiah Thomas Broadside Ballads Project, accessed April 24, 2019, http://www.americanantiquarian.org/thomasballads/items/show/35.